“Dark Shadows” pairs director Tim Burton with his muse Johnny Depp for their eighth film. Their first two films together, “Edward Scissorhands” and “Ed Wood,” were their best, and it has been a slow and steady descent since then. It would be easy to say “Dark Shadows” is their weakest film, but we would then have to erase from our memory the stains of the recent tepid adaptations of “Charlie and the Chocolate Factory” and “Alice in Wonderland,” whose massive box-office hauls have ensured any future Burton-Depp collaboration will be green-lit on sight. Those films, based on beloved and universally known source material, were not terrible but were just plain unnecessary. “Dark Shadows” arrives with at least a small sense of purpose – to introduce a new generation to the cult classic television show on which the film is based – but Burton and Depp do the bare minimum with the opportunity. 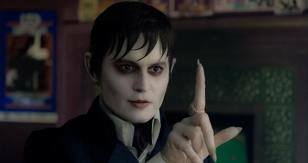 Depp plays Barnabas Collins, whose 18th century British family immigrated to Maine and built a town around their wealth. He became master of Collinwood Manor, only to suffer tragedy when a witch, whose love for him went unrequited, killed his girlfriend, turned him into a vampire, and locked him in a box. Through this backstory, told hastily and sloppily in voice-over narration by Barnabas, we understand our protagonist to be a typical Depp creation: a quirky loner, with a funny voice and a weird sense of humor, but one who is still oddly charismatic. This being a Tim Burton film, the art direction and visual effects are nearly worth the price of admission alone. When combined with Burton’s emotionally vulnerable protagonists, his dark visual style usually leads to films that are accessible and commercial but with a welcome touch of danger. His recent collaborations with Depp, however, have leaned far too much towards the conventional. The oddness of “Dark Shadows” is safe though thankfully unconventional, and although the plot wanders, the tone is uneven, and there is barely a whit of dramatic tension, “Dark Shadows” does at times put a product up on the screen that we have not quite seen before. If for nothing else, the film deserves credit for that. To its credit, the film stays true to its era’s gender politics. Set in 1972, “Dark Shadows” is bursting with strong female characters. The male characters, including Barnabas, his thieving descendant Roger (Jonny Lee Miller), and Willie (Jackie Earle Haley), the mansion’s lone caretaker, are mostly weak and ineffectual. And in the film’s romantic subplot between Barnabas and Angelique (Eva Green), the witch who turned Barnabas into a vampire, it is Barnabas who is the pursued and Angelique the aggressor. But the film’s politics are hardly its point. Burton has said on more than one occasion that he would not know a good script if it bit him in the face, and his talent ceiling is on full display here. 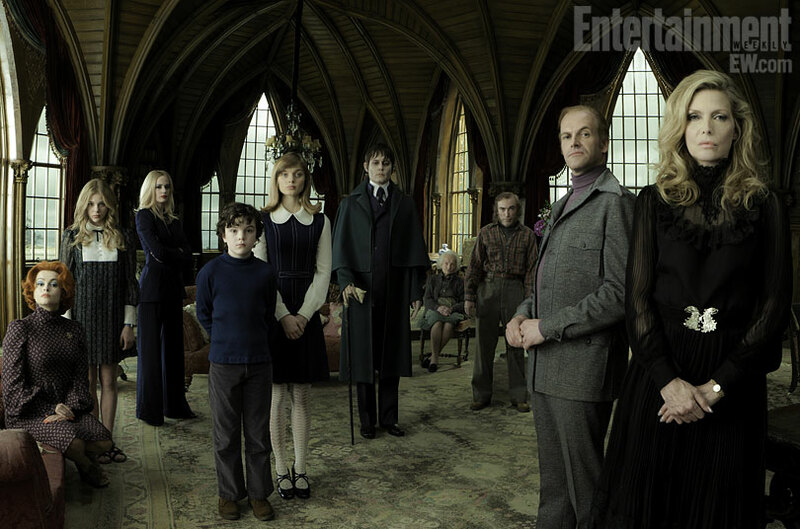 What is so frustrating about “Dark Shadows,” is that one can clearly see the potential peeking through the curtains. The two best scenes in the film are the ones in which the entire family simpy gathers around the table for a meal. No action, no special effects.The characters are not well-drawn, but they interact in funny, honest ways. There is Elizabeth (Michelle Pfeiffer), the matriach; Roger, her widowed brother; Carolyn (Chloe Grace Moretz), the sullen teenager with a secret; David (Gulliver McGrath), Roger’s young son, still grieving the death of his mother; and Dr. Julia Hoffman (Burton’s wife, Helena Bonham Carter), David’s live-in, alcoholic psychiatrist. It is an eccentric group with a relatable family dynamic; it would have been nice to have seen more of it. Given these elements to work with, they could have made “Dark Shadows” a funny and rich meditation on family life. Burton and Depp, who once made films for outsiders and loners, have now embraced the comforts and rewards of middle-age. Both have families and are enjoying the most sustained success of their careers. But with commercial success comes the trappings of studio expectations. In “Dark Shadows,” the most honest and unique story elements are generally cast aside in favor of gags, pratfalls, and one-liners. Burton and Depp have left behind the vulnerability of their youth, and with it, they have lost their bearings as storytellers. And so ultimately the film continues the downward trajectory of the Depp-Burton partnership and serves as a sad reminder of how age, or perhaps success, can darken even the brightest artistic light. The title of “Dark Shadows” refers to Barnabas’s years of darkness, as he lay trapped in his tomb before being awoken when the story begins. He says that he stared into the “dark shadows” of his soul and found the truth. If Burton and Depp had taken a moment to do likewise, they might have produced a more meaningful and successful film. What the hell’s your problem with Encino Man? Ehh. I’d rather hear what you think is so great about it.